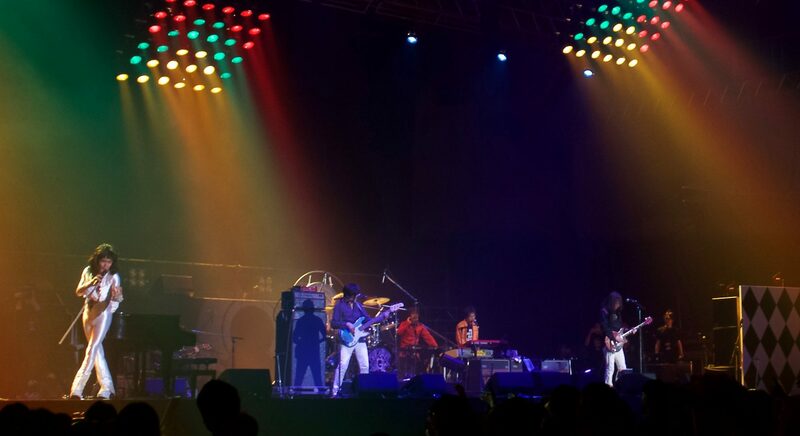 We are “Gueen”, a Queen tribute band performing in Japan. We started in 1990 and have been performing ever since then. Every year to commemorate Freddie’s passing we hold a tribute concert to raise donations for the Mercury Pheonix Trust. Until 1998 these concerts were held by the FMA (Freddie Mercury Association), a charity organization in Japan, but after their disbandment we have carried on in their place. Our concerts are now called “Queen Tribute” and we have been contributing to the MPT for over 15 years now. All the members, lighting and PA staff have been raising money and awareness for Freddie, who not only left us with so much great music but also loved Japan as well. Over 500 Queen fans attend our show to participate in the charity every year and we hope to keep on doing so. We at Gueen do not try to re-create Queen’s stage act but rather their recorded material on stage. We only perform in Japan but if you are ever in Japan please come and enjoy our performance!